Microsoft is heaping piles of money pushing Windows 8 but it is not the only company hoping to convince the world its operating system will open up opportunities and refresh the laggard PC market. Faced with general disinterest from the consumer, vendors are struggling to sell computers. What all those captains of industry and their employees in politics forgot is the method of permanent growth is vital to an economy. Instead, the west is getting austerity. With no spare change in its pocket, PCs are the last thing on the collective hivemind. Sure, visiting the right corners of the internet reveals enthusiasm for discussing the latest gadgetry, but this does not necessarily mean sales and this, too, is only a snapshot of a certain sector of society. Just as the technology press must report and review new releases, this doesn't translate to effective advertising except for people with money to spend. A Pennsylvania woman has died from injuries she suffered in a small plane crash in a St. Louis-area lake that also killed her husband. A spokeswoman for DePaul Health Center in Bridgeton says 69-year-old Suzanne Hazelton died Monday. She had been on life support since a plane piloted by her husband, 78-year-old Russell Hazelton, crashed into Creve Coeur Lake last Wednesday. Russell Hazelton died the day after the crash. The Hazeltons, of Lake Winola, Pa., were flying to their home in Town and Country when the accident occurred. 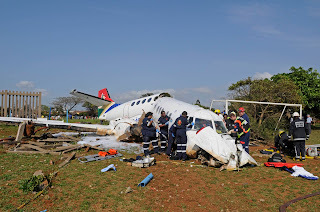 The St. Louis Post-Dispatch says that Russell Hazelton was flying the Piper PA-28 Cherokee from Ohio to Creve Coeur Airport when it crashed into the lake not far from the airfield in Maryland Heights. 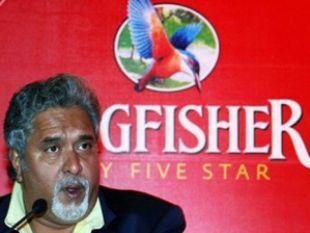 Kingfisher Airlines Ltd. (KAIR), controlled by liquor tycoon Vijay Mallya, is struggling to resume services after five straight years of losses and mounting debt forced it to ground planes. India’s bankruptcy laws aren’t helping. The carrier can’t emulate U.S. airlines that have gone through court-led Chapter 11 restructuring, as India doesn’t have any similar procedures for service providers. Under the existing law, a government body only oversees rehabilitation of companies with licenses to run factories. Kingfisher’s troubles highlight how India’s corporate laws have failed to keep pace with growth and emergence of new businesses in Asia’s third-biggest economy. Lack of a modern legal framework makes it slower for struggling companies to renegotiate debts and cut cost, said Jai Pathak, partner-in- charge at Gibson, Dunn & Crutcher LLP. in Singapore. 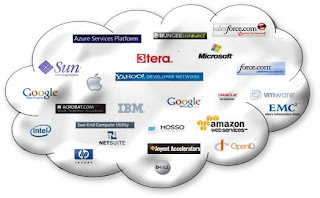 Cloud computing is moving away from being monolithic, where Amazon Web Services (AWS) was the only major cloud service provider, to a marketplace technology, with several cloud-based service providers, as users’ appetite for cloud grows, according to analyst firm 451 Research. “It has taken a few years, but 2012 is the year we have seen some big difference, most of it driven by Openstack providers such as Rackspace,” said Simon Robinson, research vice-president of 451 Research, at the SNW Europe 2012 conference in Frankfurt. Such a competitive market is good for enterprise users, who will see the cost of cloud services go down, he said. “In addition to pricing benefits, having more players will bring more cloud federation, standardisation and interoperability,” said Robinson. Technology companies and cloud critics have long argued that cloud must be more federated, automated and interoperable for users to see real benefits. After his decision to skip election rallies in Himachal Pradesh, cornered BJP chief Nitin Gadkari on Tuesday cancelled his meeting with state leaders of poll-bound Karnataka where former CM B S Yeddyurappa is threatening to lead a breakaway BJP faction into the elections. Gadkari instead announced that he had asked leader of opposition in Rajya Sabha Arun Jaitley and party general secretary Dharmendra Pradhan to meet the state leaders and review the political situation there. 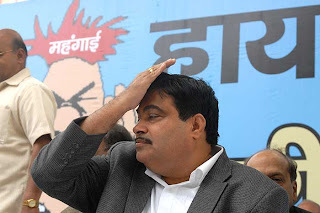 In a statement, the party said Gadkari was busy in consultation with legal experts in Mumbai and Nagpur. The party chief has threatened to take legal action against media groups for reporting about alleged money laundering by his companies.